We spend a third of our lives at work. Sometimes, people end up with their dream jobs. A job that leaves them fulfilled and full of purpose. They get to be of service; they feel respected by their peers and community. When someone asks what they do, they’re automatically admired. But what if you’re not one of those people? What if your job is just a means to an end. You work to keep the lights on. There’s nothing glamorous or inherently interesting about your work. And you start to feel like you’re wasting time trying to find that job or career that will let you live out your purpose. You’re wondering if you’ll ever live a more meaningful life. 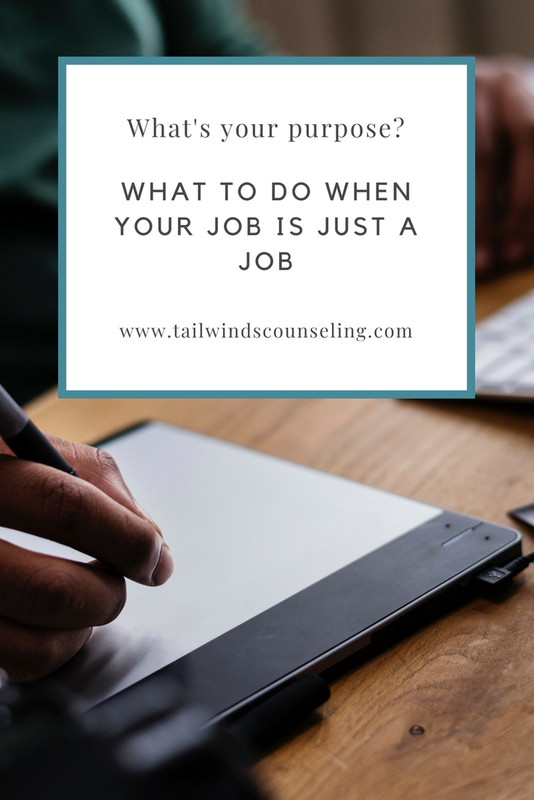 But maybe, your purpose has nothing to do with your work. Way back in my days fresh out of undergrad, I had a job in a busy neighborhood with a corner store that I would frequent for snacks and caffeinated beverages. I’d see the same clerk every time and without fail, he would make me smile and brighten up my day. This was a decade ago, but I still remember that man and how he made me feel. That guy’s purpose in life wasn’t to run a corner store. It was to make people smile and feel a little bit brighter. So often we get caught up in the fantasy of the ideal scenario, that we forget about what can be done each day, hour, minute, second. It makes us feel anxious and wears on our self-confidence. Just because your life isn’t exactly what you pictured, doesn’t mean you can’t live purposefully and meaningfully in your current circumstance. How to live a meaningful life regardless of your job, relationship status, etc. So rather than searching for the thing that is going to give your life purpose (finding a partner, the perfect career, starting a family), take a look at what your values are and act in accordance with those all the time — when you’re in line at the grocery store or talking with a coworker. You’ll feel like you have more agency over your own life and hopefully some of those worries and fears about wasting time and wondering if things to improve will start to have less power. Does this sound like you? If you’re in Texas and you’d like to work together, schedule a free 15-minute phone consultation!